Green needle-like leaves. 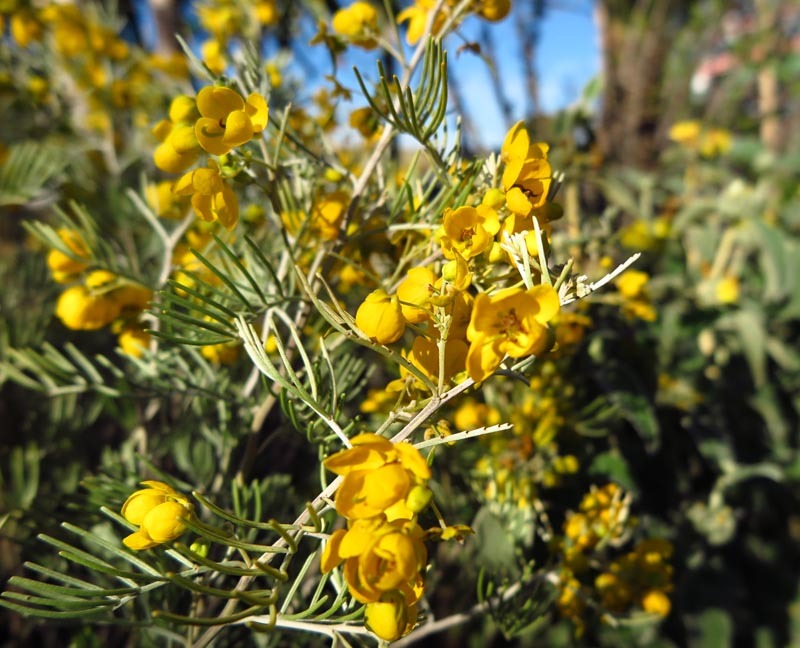 Tiny, fragrant, bright yellow flowers in winter through spring, followed by green seed pods that turn dark brown. Deer-tolerant shrub.